Peer2Peer Volunteers help the startup community by sharing their knowledge and entrepreneurial experience with early stage founders and event attendees. Within Peer2Peer, there are two roles. 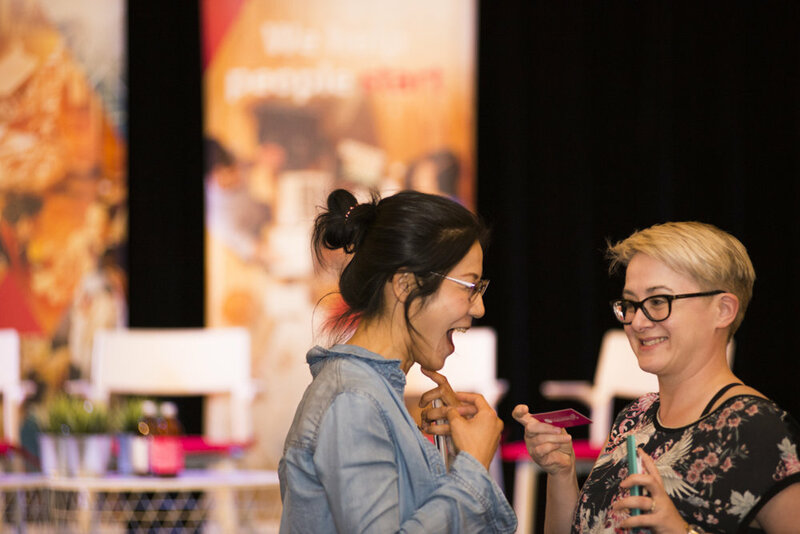 A Peer2Peer Support volunteer represents Startup Calgary at community events and answers questions about the community and resources. A Peer2Peer Lead assists with workshops and entrepreneurial coaching. Have questions about the Peer2Peer Volunteer roles? Contact Jenn Delconte at jenn@startupcalgary.ca.